If you don’t give, you don’t receive. That’s the way life is. It is those who contribute to life that makes the best out of life. 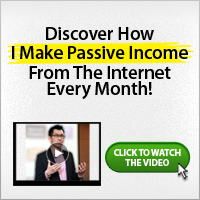 You want to make money online in thousands of dollars online? Give thousands of people things online and you are sure to make thousands of dollars online. Even though it doesn’t come in a month, your consistence at doing this will pay your greatly one day. To find out what you need to give, please read and act on this post. You might ask, ‘Where do I get thousands of people to give free things online?’ You will find them on social networks, instant messengers and subscribers on your blog/website etc. Make the free things available and tell the world about it, they would come. People definitely like free things. 1. Give Them Better Quality. 2. Give Them A Way To Save Time. 3. Give Them A Way To Save Money!. 5. Give Them A Way To Make Money!. 6. Give Them State-Of-The-Art Products & Services. 7. Give Them A Way To Make Life Less Difficult. 8. Give Them a Way to Enhance Their Looks. 9. Give Them Items That Have Multiple Uses. 10. Give Them Items That Are Durable And Long-Lasting. 11. Give Them Items That Will Solve A Problem They Have. 12. Give Them Items That Are More Efficient and Effective. 13. Give Them Items That Make Life More Enjoyable. 14. Give Them Items That Offer Multiple Benefits. You should find a way that your actions, product and services can fill as many of these needs as possible. The more needs your action, product and services fills, the more likely you are to make a sale. Go back over this list again. Find the things that make your product or services stand out above the competition. Point these things out to your customers in your sales/ad copy, and they will buy from you!